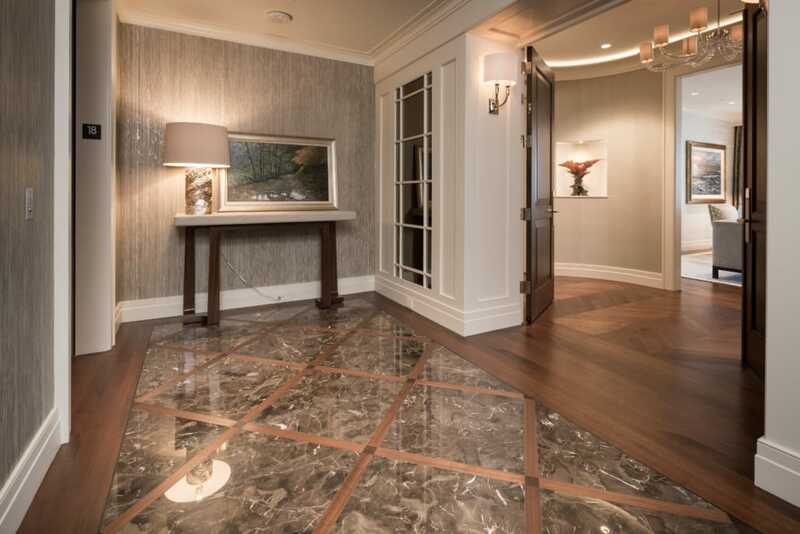 Patterned like a tasteful rug, the walnut border of this inlaid design features a subtle, delicate wenge accent strip. 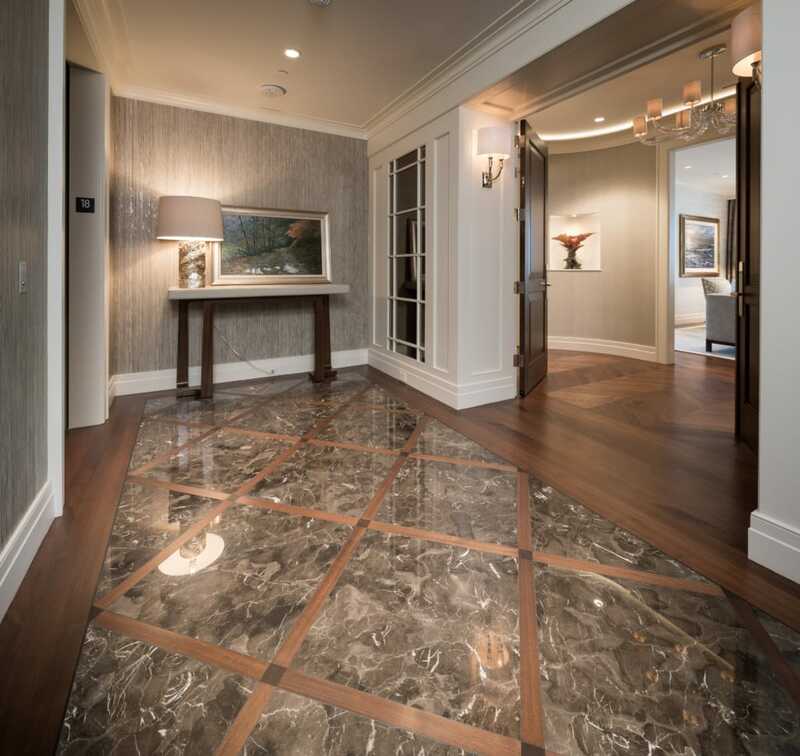 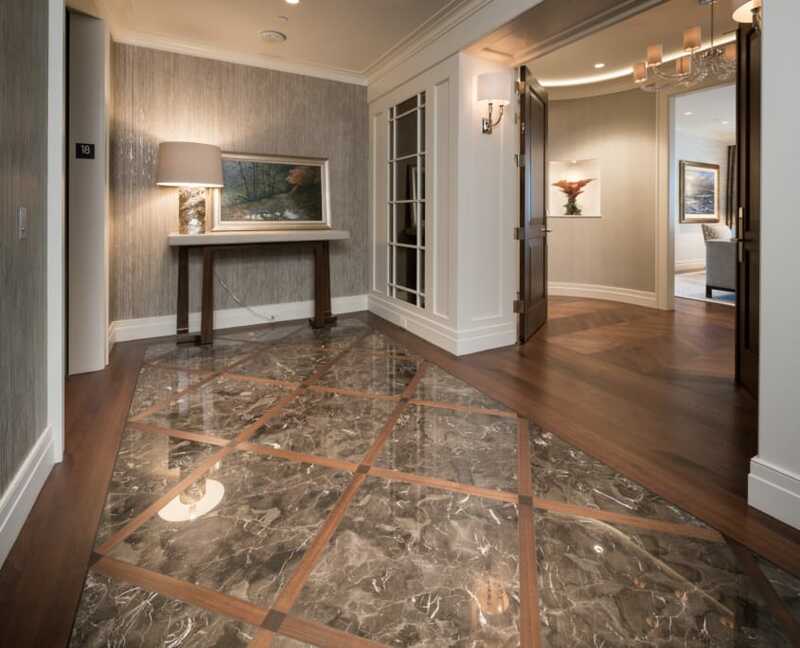 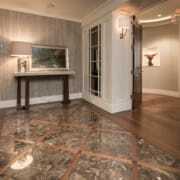 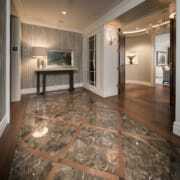 Polished stone is set into walnut planking, which then flows seamlessly throughout this high-rise home. 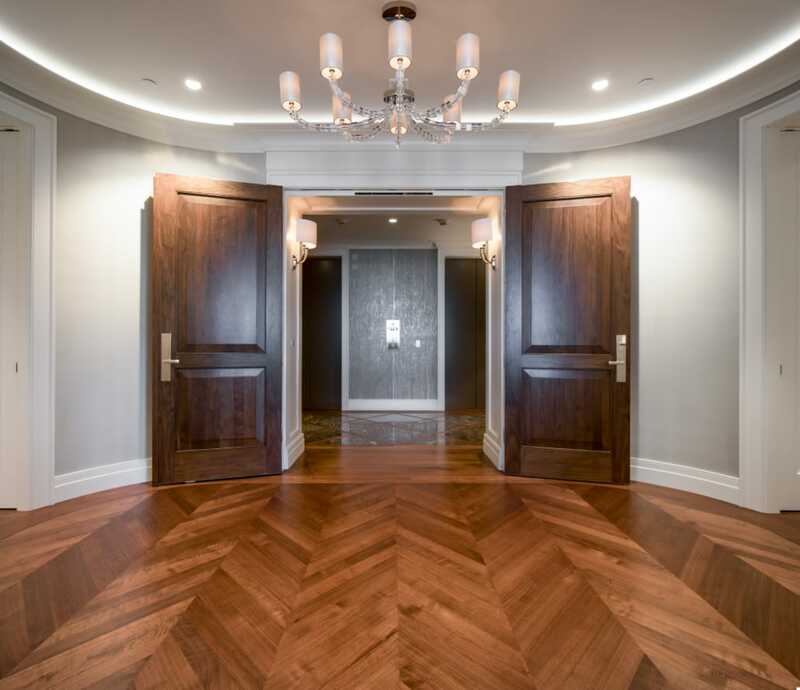 The darker accent blocks are also walnut, cut on the end grain. 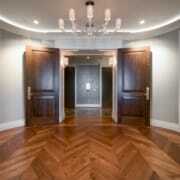 All elevator lobbies should be so striking.